The Hockey Blog Adventure: It's official: Third Jerseys are here. Here's the pdf linked to by BruinsBlog. The official unveiling is at the Pro Shop today at 2pm. 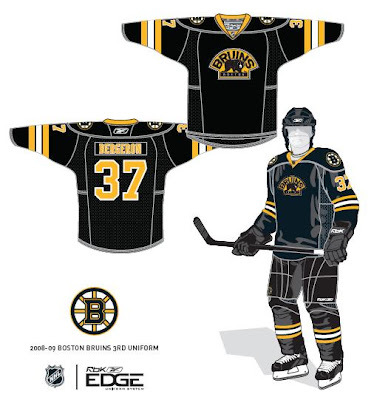 Picture from NHL Uniforms, an absolutely FANTASTIC place to find out what every team was wearing every season. Seriously, it's ridiculous. Oh look, they already have the third jersey.